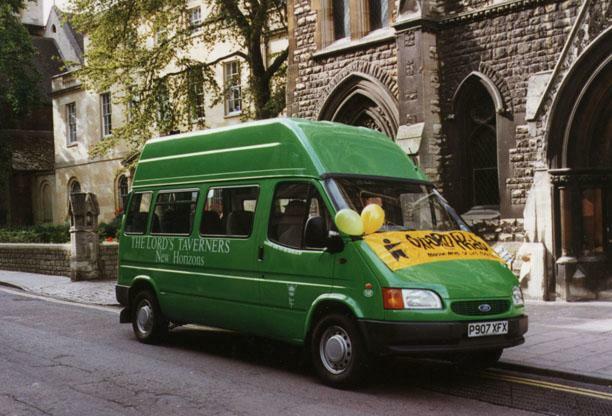 Oxford Phab had a green Ford Transit based adapted minibus which was presented to us at a charity cricket match on 1st September 1996. It has served us well over the years, but we have been fundraising to buy a new one. We had a party, and service of blessing at Wesley Memorial to celebrate its arrival. We finally said goodbye to it on 25th January 2015.